1: Are there any known benefits of health risks to stopping your period? Numerous noncontraceptive benefits in woman with stopping a period. Improved acne, less pain with period, less pelvic pain, fibroid slow or stop growing and this is less pain, less endometriosis with associated symptoms, less cyclical breast pain, less mood swings, less ovarian cyst, decreased risk of endometrial cancer, less PMS or PMSS premenstrual dysphoria disorder. There is no reported risk of backed up menstrual flow or rising iron levels in women who stop their periods, and this a prevailing opinion. There are persons with a iron storage problem called hemochromatosis, and in menopausal patients or post hysterectomy, the iron overloading can become manifest, but this is not a common event. Full fledged hemochromatosis is mostly seen in Greek/Italians, Balkans. These can be taken orally but will work as good if not better if placed vaginally at bedtime. Will avoid the first pass effect through the liver, thereby destroying 90% of the hormone, and making the liver produce more clotting factors, thus nudging up the clotting risk. 3: What are some of the brands marketed for extended cycle uses? 4: What happens to your period when you use birth control? 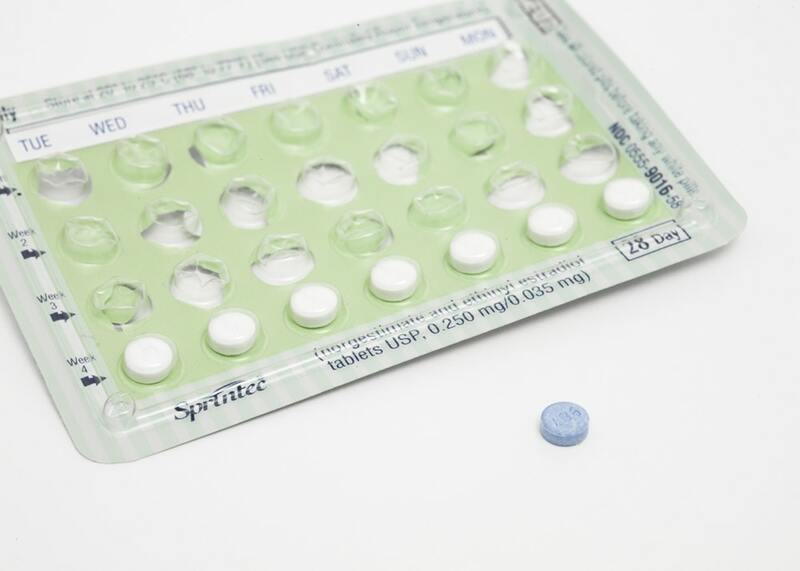 These hormonal pills were called BCPs, but also OCP (ovulation control pills), but they do not always prevent follicle development, but can interfere with the signal to begin egg maturation and release, and they will add progestin (a substance that will bind to the progesterone receptor and act like progesterone) and prevent menstruation. Without the cyclical rise and fall of estrogen and then rise and fall of progesterone/progestin, there will be no menstruation. 5: What is the history behind monthly periods? Human females have had cyclical menstruation for as long as we can tell. There is a landmark called the LMP, or last menstrual period, and this has been established in child-birthing, and is “codified” to be 2 weeks added to the EDD (estimated due date or EDC, estimated date of confinement. ) This is 40 weeks, but minus 2 weeks is 38 weeks, then more accurate timing of the time of growth. There are many women who have irregular cycles, most commonly PCOS patients (poly cystic ovarian syndrome patients) and they have absent to infrequent ovulation. This would make the follicular phase of their menstrual cycles go from 11-16 days, to 20-400days, thus making them irregular cycles. Without ovulation, and the subsequent formation and release of progesterone, which will rise and then fall, thus causing the menstruation. The term menstruation is specific vaginal bleeding due to regular predictable vaginal bleeding, due to ovulation. Induced periods with OCPs or progestins is mistakenly called menstruation, but is a withdrawal bleed. Women were exposed to progestin and then it was withdrawn. 6: What should skeptics out there know about period suppression? That various women’s health organizations and committees advocate the use of period suppression for the reasons above. There are good situations to suppress a period, for say delaying for a wedding, or vacation, or if deployed to war or in space. The negatives about hormonal contraceptives are all focused on the cardiovascular risks in older, and obese and smokers. Age 35 is a cutoff for most women with no significant concern. Over 35, then over 15 cigs/day is unacceptable risk. Migraines with aura-unacceptable risk if oral estrogen, consider progestin only pill, but these may not be in the scope of this article. Any heart disease-past or current unacceptable risk. Multiple risk factors for cardiovascular disease. 7: What are the ACOG current guidelines on continuous and extended use of hormone contraception? I don’t believe ACOG has a guideline for this specific issue, and would expect them to default to their recommendations of OCP use, and they would not make a distinction.